If your Android phone doesn't turn on, brick, stuck on logo or in a state of "bootloop" or constant restart, the solution is probably to flash or install the firmware or official ROM again. Basically which means, to reinstall your Android Operating system. 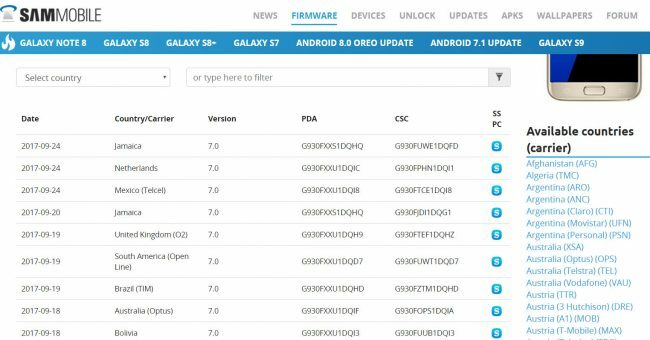 Below we show you the best 10 website you can download Android firmware for free for your Samsung and other smartphone brands, as well as alternative sites in case you do not find it in the first one. 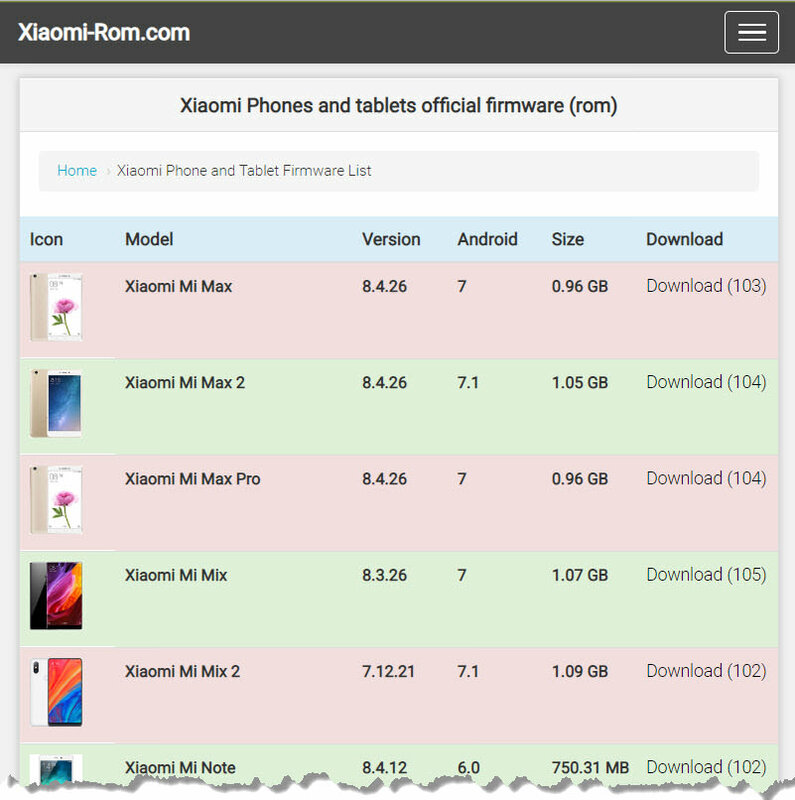 Warning : Installing firmware or stock rom manually is a dangerous procedure. It can damage your Android phone irreparably. Proceed only if you know what you are doing. If you are only going to update the Android software, whenever possible use the option to update the device itself (OTA). Another recommended method to update is to use the official desktop client. For example, Samsung offers Smart Switch or Kies software for PC and Mac. A firmware is in charge of interpreting your actions and communicating them to the electronic components of your phone so that they can perform them. For example, responding correctly to a touch of the screen. It is common to refer to the firmware as an Android operating system (something that is partially correct). The firmware is also known as READ ONLY MEMORY or ROM, which is where the flash files is stored. firmware.mobi is probably one the best webpage to download Android firmware (although not the most complete one). 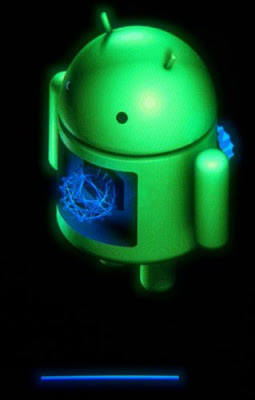 Here you can download official Android ROMs. You'll find many brands of Android devices, mostly Samsung, Motorola and Google. After searching for your phone model, you will have to download the complete firmware package which include Boot + Recovery Images file (make sure you know what you are doing). 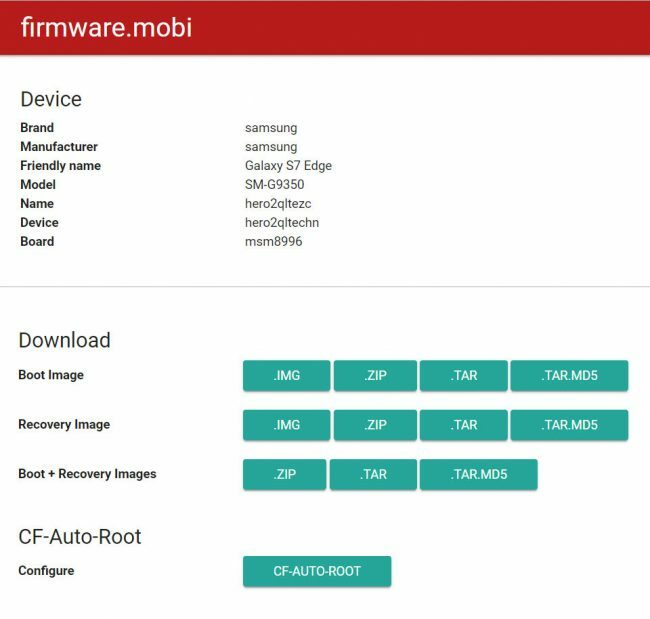 Using the CF Auto Root option allows you to download rooted firmware. In the option configuration screen, leave everything by default (unless you know what you are doing) and press the Generate CF Auto Root Package button. This advanced configuration is what makes firmware.mobi unique and special. You can download any firmware without registration directly, because files are self hosted. There is no limitation of the download speed, like some other sites in this list. 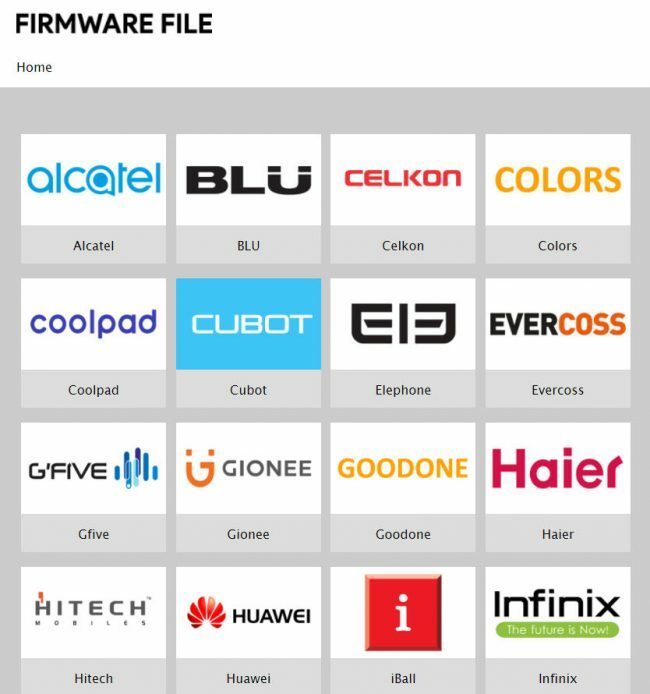 firmwarefile.com does not offer the advance options for users to customize the firmware, it has a very diverse database. 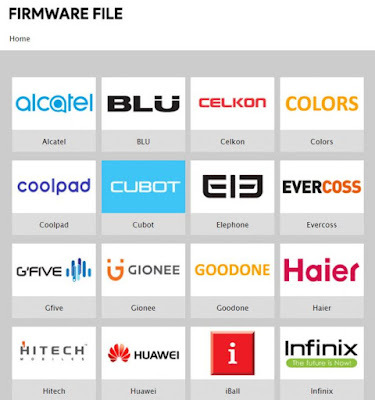 In addition to well-known brands such as Samsung, you can also download firmware from lesser-known Android phones such as Xiaomi, Blu, Bluboo, huawei, infinix, tecno, etc. They offer a generic tutorial (in English) on how to flash firmware for all brands. The flash files is in .ZIP file, hosted on Mediafire server and you can see the links without registering. Using needrom.com you will need to create an account and disable ad blocker (in case you have one) to download firmware, totally free. On the download page you will find information on how to install the ROM, in English. 4pda.ru website is written in Russian language, so you will have to use the "Translate" option of your browser(Google chrome is recommended). 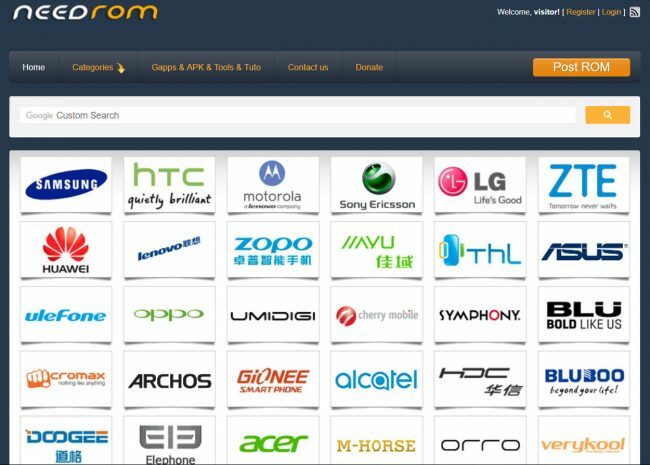 One of the largest and popular forums in Russian, where you have multitude of subforums with firmware of Android devices and multiple brands. You don't even have to register to download the ROMs available. 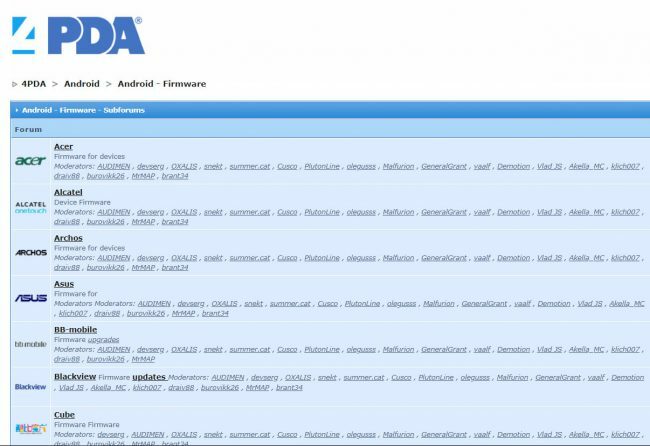 You may also find official firmware/stock roms for your smartphones in the 4PDA database . lg-firmwares.com is one of the best page to download firmwares for Android devices free. But the cons is that, only LG, Samsung and Apple brands are available. Users don't need to register or do anything in other to download ROM, all files are self hosted and can be downloaded directly from server. All the indicated URLs above appear belong to the same website. They have ROMS for a wide number of models, which can be downloaded for free. They even offer instructions on how to flash the firmware in each model. However, we have not tested the ROMs of these sites. We can not confirm if the firmware is "official" as mentioned there. Therefore, proceed under your own account. Do not forget to put the "/" at the end of the URL to enter. You can flash firmware using Odin computer software. If you prefer to download exactly the same firmware that is installed on your Samsung, use the Phone Info application to see your Region Code information and any other things you need (in case your cell phone is working normally). 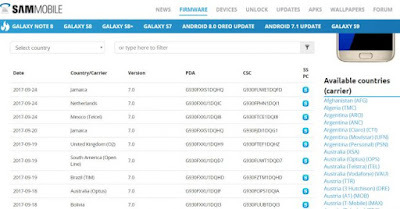 sammobile.com is a website you can download firmware exclusively for Samsung phones. On the webpage you can find official stock ROMs, either from manufacturer or from a specific operator. Personally I have never had problems with the firmware of this page. One of the disadvantage of using sammobile.com is that users will have to register before they can download from the site and there there is a download speed limit for free registered users. All the firmware are in ZIP file and can be flashed with Odin PC program. Updato is very similar to sammobile. No registration is necessary to download and there is no speed limit for users, there has been some issues lately where downloaders have been complaining of slow speed, but the admins has assured that it just a server issue, the download speed will be back to normal. 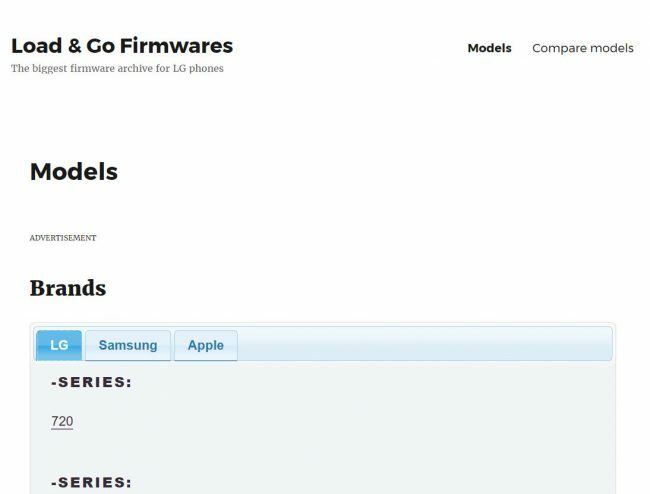 samsung-firmware.org database is another website you can download Samsung firmware. 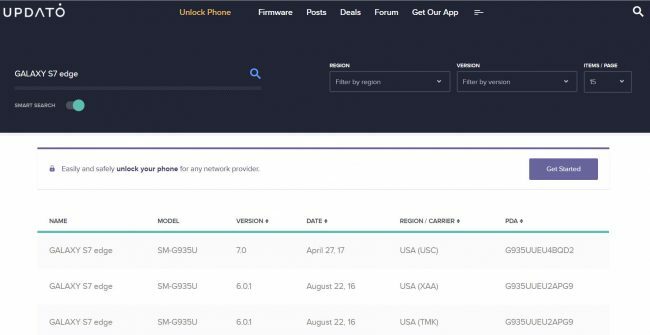 It has the same limitations as sammobile, where users will need to register before downloading firmwares and there is a download speed limit for free users. Similarly, the firmware comes in a ZIP file that must be flashed with Odin. 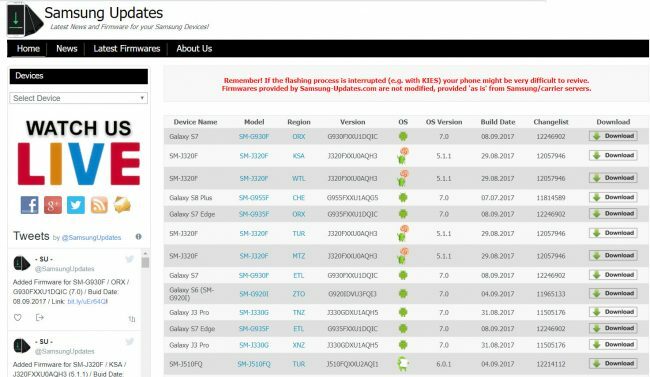 samsung-updates.com is another site very similar to the previous ones, which claims to have Samsung's official firmware of the manufacturer and / or operators. The good thing is that you do not need to register to download. The trouble is that the firmware is hosted on third-party servers that generally have speed limitations. I have tried to download firmware from the three servers and only one of them was downloaded at low speed (rapidgator.com). The mobile version of this page is terrible. You can not search or download ROMS. For this reason, activate the "Request desktop website" option in your browser. xda-developers forum is a general forum about Android technology. 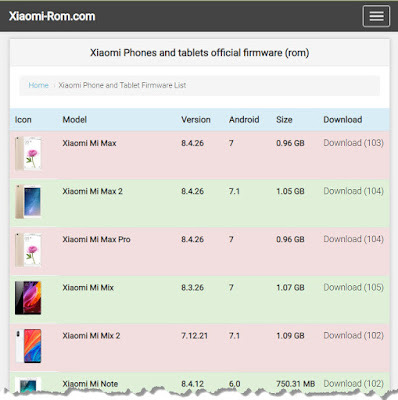 It is not specific to download Android firmware, but you may find roms that you did not find in the previous pages. Or you can request it from one of its members. 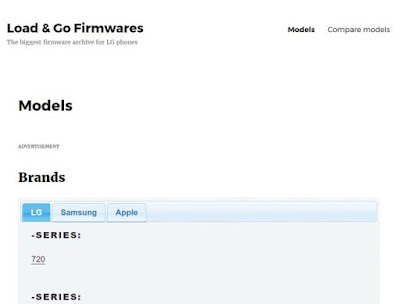 You can also find tutorials for flashing firmware for your specific phone model.